Corporate Event Photographer Raleigh To New Orleans: Yes, I Travel! The shot above was taken from 4 stories above the tables below. It's just one of the the many wonderful shots beyond the classic corporate event images like a keynote speaker or a breakout session that I was able to grab while covering a multi-day conference in New Orleans. 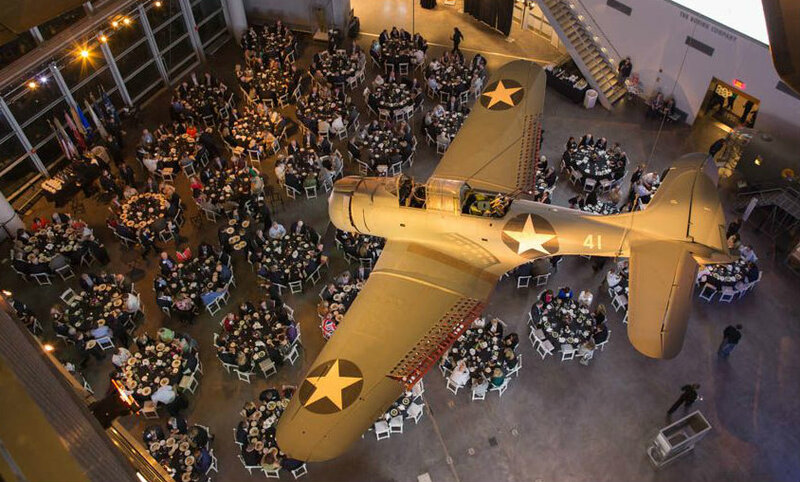 As a corporate event photographer, I get to work in some amazing venues like you see above and below. Yes, I am Raleigh NC based, but I do corporate events and commercial photography all over the US. In March, just after my return from New Orleans, I wrote a blog post that included a street image that I shot while I was in New Orleans. Although I don't have a lot of time for extra photography work while covering a corporate event, I do keep my eyes open for opportunities. 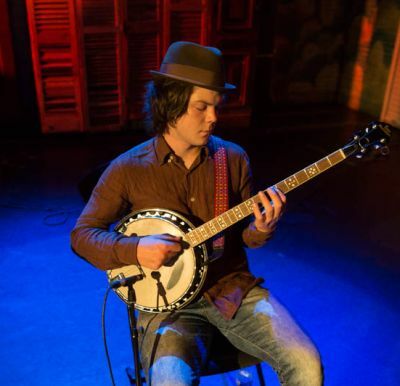 The image to the left of the banjo player was taken at The House of Blues in New Orleans which was one of the offsite venues for the corporate event. It's not a classic corporate event shot like a panel discussion which I have done plenty of, but it does help tell the story of the multi-day conference that I covered while in New Orleans because there was more to the event than keynotes, breakouts and panel discussions. I do photograph my fair share of corporate events in the Raleigh market like one that I just photographed this past Monday for a Fortune 500 Company in downtown Raleigh before flying out early the next morning to cover a multi-day conference in Shreveport, Louisiana which is where I'm at today. It is a tremendous amount of work covering a corporate event the night before an early am flight out of state, but I love the challenge of working in different venues. In addition to both New Orleans and Shreveport which were within 30 days of each other, I also already have Dallas, Texas and Indianapolis, Indiana scheduled in 2016 as well. The travel is not easy, but it does allow me to get paid and visit other areas of the US at the same time. If you are looking for a corporate event photographer for Raleigh or anywhere else in the US, feel free to call me direct at 919.723.8453 or use the online contact form. Corporate Event Photography Is Non-Stop & I Love Doing It – No Weddings For Me!